The Synaxis or meeting of the Primates of the Autocephalous Orthodox Churches is not a permanent institution, but a spiritual representative event. 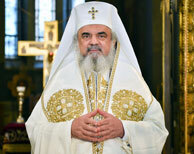 The pan-Orthodox Synaxis of Primates has neither formal status, nor competences expressed in canonical juridical terms. It is not a Pan-Orthodox Synod, but a pan-Orthodox representation of the autocephalous synods, presided over by the Primates present in the Synaxis. The pan-Orthodox Synaxis has at present a consultative and orientating role in order to strengthen the sacramental communion through Eucharistic concelebration, pastoral co-responsibility through dialogue and missionary cooperation through action, among the Autocephalous Orthodox Churches and in the relations of Orthodoxy with the world of today. The spiritual authority of the Synaxis increases mostly by promoting co-responsibility for the unity of Orthodoxy. The pan-Orthodox Synaxis offers the image of Orthodoxy as being more a spiritual family of Orthodox Churches from different regions, countries and ethnicities than an international religious institution. The Synaxis foster primarily the fraternal communion and afterwards joint programs of action. Therefore, the pan-Orthodox Synaxes issued so far mainly messages and recommendations for the Church and society. However, in a pan-Orthodox Synaxis, as in a family, specific issues which negatively affect relations between sister Orthodox Churches and Orthodox witness in the world of today can also be discussed. Although the pan-Orthodox Synaxis is not a Pan-Orthodox Synod, nevertheless it may greatly help in understanding the importance of synodality at universal or pan-Orthodox level. 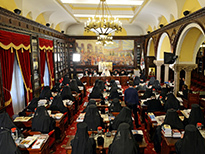 Since the Holy Canons require that the bishops should gather in Synod at least twice a year (37 Apostolic canon, canon 5 of the First Ecumenical Council, canon 19 of the Fourth Ecumenical Council and canon 20 of the local Synod of Antioch), the pan-Orthodox Synaxes should be organised at least once every two years, in order to intensify today the pan-Orthodox communion, cooperation and solidarity. 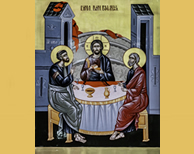 Paradoxically, the Autocephalous Orthodox Churches cultivate today more the international official dialogues with other Churches than the dialogue and cooperation among them. 3.economic and financial crisis, which calls us to greater solidarity with the poor, the sick and the lonely ones. The spiritual, pastoral and social mission of Orthodoxy calls us today to unite more territorial canonical jurisdiction with pastoral responsibility for concrete persons and local Autocephaly with universal or ecumenical Orthodoxy. In this sense, we thank His Holiness Bartholomew of Constantinople, the Ecumenical Patriarch, for inviting us to participate in this Synaxis, with the hope that fraternal dialogue and cooperation help us to love and serve even more the Orthodoxy and her mission in contemporary society. We appreciate the spiritual and material efforts which the Ecumenical Patriarchate has undertaken in the preparation of the Holy and Great Pan-Orthodox Synod, through the Pan-Orthodox Commissions and Conferences and the Pan-Orthodox Synaxes, for the wellbeing of the whole of Orthodoxy. ÃÂ¡ÃÂ¸ÃÂ½ÃÂ°ÃÂºÃ‘ÂÃÂ¸Ã‘Â ÃÂ¸ÃÂ»ÃÂ¸ Ãâ€™Ã‘ÂÃ‘â€šÃ‘â‚¬ÃÂµÃ‘â€¡ÃÂ° ÃÅ¸Ã‘â‚¬ÃÂµÃÂ´Ã‘ÂÃ‘â€šÃÂ¾Ã‘ÂÃ‘â€šÃÂµÃÂ»ÃÂµÃÂ¹ ÃÂÃÂ²Ã‘â€šÃÂ¾ÃÂºÃÂµÃ‘â€žÃÂ°ÃÂ»Ã‘Å’ÃÂ½Ã‘â€¹Ã‘â€¦ ÃÅ¸Ã‘â‚¬ÃÂ°ÃÂ²ÃÂ¾Ã‘ÂÃÂ»ÃÂ°ÃÂ²ÃÂ½Ã‘â€¹Ã‘â€¦ ÃÂ¦ÃÂµÃ‘â‚¬ÃÂºÃÂ²ÃÂµÃÂ¹ ÃÂ½ÃÂµ Ã‘ÂÃÂ²ÃÂ»Ã‘ÂÃÂµÃ‘â€šÃ‘ÂÃ‘Â ÃÂ¿ÃÂ¾Ã‘ÂÃ‘â€šÃÂ¾Ã‘ÂÃÂ½ÃÂ½Ã‘â€¹ÃÂ¼ ÃÂ¸ÃÂ½Ã‘ÂÃ‘â€šÃÂ¸Ã‘â€šÃ‘Æ’Ã‘â€šÃÂ¾ÃÂ¼, ÃÂ° ÃÂ¿Ã‘â‚¬ÃÂµÃÂ´Ã‘ÂÃ‘â€šÃÂ°ÃÂ²ÃÂ¸Ã‘â€šÃÂµÃÂ»Ã‘Å’ÃÂ½Ã‘â€¹ÃÂ¼ ÃÂ´Ã‘Æ’Ã‘â€¦ÃÂ¾ÃÂ²ÃÂ½Ã‘â€¹ÃÂ¼ Ã‘ÂÃÂ¾ÃÂ±Ã‘â€¹Ã‘â€šÃÂ¸ÃÂµÃÂ¼. Ãâ€™Ã‘ÂÃÂµÃÂ¿Ã‘â‚¬ÃÂ°ÃÂ²ÃÂ¾Ã‘ÂÃÂ»ÃÂ°ÃÂ²ÃÂ½Ã‘â€¹ÃÂ¹ ÃÂ¿Ã‘â‚¬ÃÂµÃÂ´Ã‘ÂÃ‘â€šÃÂ¾Ã‘ÂÃ‘â€šÃÂµÃÂ»Ã‘Å’Ã‘ÂÃÂºÃÂ¸ÃÂ¹ ÃÂ¡ÃÂ¸ÃÂ½ÃÂ°ÃÂºÃ‘ÂÃÂ¸Ã‘Â ÃÂ½ÃÂµ ÃÂ¸ÃÂ¼ÃÂµÃÂµÃ‘â€š Ã‘â€žÃÂ¾Ã‘â‚¬ÃÂ¼ÃÂ°ÃÂ»Ã‘Å’ÃÂ½ÃÂ¾ÃÂ³ÃÂ¾ Ã‘ÂÃ‘â€šÃÂ°Ã‘â€šÃ‘Æ’Ã‘ÂÃÂ°, ÃÂ° Ã‘â€šÃÂ°ÃÂºÃÂ¶ÃÂµ ÃÂºÃÂ°ÃÂ½ÃÂ¾ÃÂ½ÃÂ¸Ã‘â€¡ÃÂµÃ‘ÂÃÂºÃÂ¾-Ã‘Å½Ã‘â‚¬ÃÂ¸ÃÂ´ÃÂ¸Ã‘â€¡ÃÂµÃ‘ÂÃÂºÃÂ¸Ã‘â€¦ ÃÂ¿ÃÂ¾ÃÂ»ÃÂ½ÃÂ¾ÃÂ¼ÃÂ¾Ã‘â€¡ÃÂ¸ÃÂ¹. ÃÂ­Ã‘â€šÃÂ¾ ÃÂ½ÃÂµ Ãâ€™Ã‘ÂÃÂµÃÂ¿Ã‘â‚¬ÃÂ°ÃÂ²ÃÂ¾Ã‘ÂÃÂ»ÃÂ°ÃÂ²ÃÂ½Ã‘â€¹ÃÂ¹ ÃÂ¡ÃÂ¾ÃÂ±ÃÂ¾Ã‘â‚¬, ÃÂ° ÃÂ²Ã‘ÂÃÂµÃÂ¿Ã‘â‚¬ÃÂ°ÃÂ²ÃÂ¾Ã‘ÂÃÂ»ÃÂ°ÃÂ²ÃÂ½ÃÂ¾ÃÂµ ÃÂ¸ÃÂ·ÃÂ¾ÃÂ±Ã‘â‚¬ÃÂ°ÃÂ¶ÃÂµÃÂ½ÃÂ¸ÃÂµ ÃÂ°ÃÂ²Ã‘â€šÃÂ¾ÃÂºÃÂµÃ‘â€žÃÂ°ÃÂ»Ã‘Å’ÃÂ½Ã‘â€¹Ã‘â€¦ Ã‘ÂÃÂ¸ÃÂ½ÃÂ¾ÃÂ´ÃÂ¾ÃÂ², ÃÂ¿Ã‘â‚¬ÃÂµÃÂ´Ã‘ÂÃÂµÃÂ´ÃÂ°Ã‘â€šÃÂµÃÂ»Ã‘ÂÃÂ¼ÃÂ¸ ÃÂºÃÂ¾Ã‘â€šÃÂ¾Ã‘â‚¬Ã‘â€¹Ã‘â€¦ Ã‘ÂÃÂ²ÃÂ»Ã‘ÂÃ‘Å½Ã‘â€šÃ‘ÂÃ‘Â ÃÂ¿Ã‘â‚¬ÃÂµÃÂ´Ã‘ÂÃ‘â€šÃÂ¾Ã‘ÂÃ‘â€šÃÂµÃÂ»ÃÂ¸, Ã‘Æ’Ã‘â€¡ÃÂ°Ã‘ÂÃ‘â€šÃÂ²Ã‘Æ’Ã‘Å½Ã‘â€°ÃÂ¸ÃÂµ ÃÂ² ÃÂ¡ÃÂ¸ÃÂ½ÃÂ°ÃÂºÃ‘ÂÃÂ¸Ã‘ÂÃÂµ. Ãâ€™Ã‘ÂÃÂµÃÂ¿Ã‘â‚¬ÃÂ°ÃÂ²ÃÂ¾Ã‘ÂÃÂ»ÃÂ°ÃÂ²ÃÂ½Ã‘â€¹ÃÂ¹ ÃÂ¡ÃÂ¸ÃÂ½ÃÂ°ÃÂºÃ‘ÂÃÂ¸Ã‘Â ÃÂ¸ÃÂ¼ÃÂµÃÂµÃ‘â€š Ã‘ÂÃÂµÃÂ³ÃÂ¾ÃÂ´ÃÂ½Ã‘Â ÃÂºÃÂ¾ÃÂ½Ã‘ÂÃ‘Æ’ÃÂ»Ã‘Å’Ã‘â€šÃÂ°Ã‘â€šÃÂ¸ÃÂ²ÃÂ½Ã‘Æ’Ã‘Å½ ÃÂ¸ ÃÂ¾Ã‘â‚¬ÃÂ¸ÃÂµÃÂ½Ã‘â€šÃÂ¸Ã‘â‚¬ÃÂ¾ÃÂ²ÃÂ¾Ã‘â€¡ÃÂ½Ã‘Æ’Ã‘Å½ Ã‘â‚¬ÃÂ¾ÃÂ»Ã‘Å’, Ã‘Â Ã‘â€ ÃÂµÃÂ»Ã‘Å’Ã‘Å½ Ã‘Æ’Ã‘â€šÃÂ²ÃÂµÃ‘â‚¬ÃÂ´ÃÂ¸Ã‘â€šÃ‘Å’ ÃÂ»ÃÂ¸Ã‘â€šÃ‘Æ’Ã‘â‚¬ÃÂ³ÃÂ¸Ã‘â€¡ÃÂµÃ‘ÂÃÂºÃÂ¾ÃÂµ ÃÂ¾ÃÂ±Ã‘â€°ÃÂµÃÂ½ÃÂ¸ÃÂµ ÃÂ¿ÃÂ¾Ã‘ÂÃ‘â‚¬ÃÂµÃÂ´Ã‘ÂÃ‘â€šÃÂ²ÃÂ¾ÃÂ¼ ÃÂµÃÂ²Ã‘â€¦ÃÂ°Ã‘â‚¬ÃÂ¸Ã‘ÂÃ‘â€šÃÂ¸Ã‘â€¡ÃÂµÃ‘ÂÃÂºÃÂ¾ÃÂ³ÃÂ¾ Ã‘ÂÃÂ¾Ã‘ÂÃÂ»Ã‘Æ’ÃÂ¶ÃÂµÃÂ½ÃÂ¸Ã‘Â, Ã‘ÂÃÂ¾ÃÂ²ÃÂ¼ÃÂµÃ‘ÂÃ‘â€šÃÂ½Ã‘Æ’Ã‘Å½ ÃÂ¿ÃÂ°Ã‘ÂÃ‘â€šÃ‘â€¹Ã‘â‚¬Ã‘ÂÃÂºÃ‘Æ’Ã‘Å½ ÃÂ¾Ã‘â€šÃÂ²ÃÂµÃ‘â€šÃ‘ÂÃ‘â€šÃÂ²ÃÂµÃÂ½ÃÂ½ÃÂ¾Ã‘ÂÃ‘â€šÃ‘Å’ ÃÂ¿ÃÂ¾Ã‘ÂÃ‘â‚¬ÃÂµÃÂ´Ã‘ÂÃ‘â€šÃÂ²ÃÂ¾ÃÂ¼ ÃÂ´ÃÂ¸ÃÂ°ÃÂ»ÃÂ¾ÃÂ³ÃÂ° ÃÂ¸ ÃÂ´ÃÂµÃÂ¹Ã‘ÂÃ‘â€šÃÂ²ÃÂµÃÂ½ÃÂ½ÃÂ¾ÃÂ³ÃÂ¾ ÃÂ¼ÃÂ¸Ã‘ÂÃ‘ÂÃÂ¸ÃÂ¾ÃÂ½ÃÂµÃ‘â‚¬Ã‘ÂÃÂºÃÂ¾ÃÂ³ÃÂ¾ Ã‘ÂÃÂ¾Ã‘â€šÃ‘â‚¬Ã‘Æ’ÃÂ´ÃÂ½ÃÂ¸Ã‘â€¡ÃÂµÃ‘ÂÃ‘â€šÃÂ²ÃÂ° ÃÂ¼ÃÂµÃÂ¶ÃÂ´Ã‘Æ’ ÃÂÃÂ²Ã‘â€šÃÂ¾ÃÂºÃÂµÃ‘â€žÃÂ°ÃÂ»Ã‘Å’ÃÂ½Ã‘â€¹ÃÂ¼ÃÂ¸ ÃÅ¸Ã‘â‚¬ÃÂ°ÃÂ²ÃÂ¾Ã‘ÂÃÂ»ÃÂ°ÃÂ²ÃÂ½Ã‘â€¹ÃÂ¼ÃÂ¸ ÃÂ¦ÃÂµÃ‘â‚¬ÃÂºÃÂ²ÃÂ°ÃÂ¼ÃÂ¸, ÃÂ° Ã‘â€šÃÂ°ÃÂºÃÂ¶ÃÂµ ÃÂ¾Ã‘â€šÃÂ½ÃÂ¾Ã‘Ë†ÃÂµÃÂ½ÃÂ¸Ã‘Â ÃÅ¸Ã‘â‚¬ÃÂ°ÃÂ²ÃÂ¾Ã‘ÂÃÂ»ÃÂ°ÃÂ²ÃÂ¸Ã‘Â Ã‘Â Ã‘ÂÃÂ¾ÃÂ²Ã‘â‚¬ÃÂµÃÂ¼ÃÂµÃÂ½ÃÂ½Ã‘â€¹ÃÂ¼ ÃÂ¼ÃÂ¸Ã‘â‚¬ÃÂ¾ÃÂ¼. Ã'Ã‘Æ’Ã‘â€¦ÃÂ¾ÃÂ²ÃÂ½Ã‘â€¹ÃÂ¹ ÃÂ°ÃÂ²Ã‘â€šÃÂ¾Ã‘â‚¬ÃÂ¸Ã‘â€šÃÂµÃ‘â€š ÃÂ¡ÃÂ¸ÃÂ½ÃÂ°ÃÂºÃ‘ÂÃÂ¸Ã‘ÂÃÂ° Ã‘Æ’ÃÂ²ÃÂµÃÂ»ÃÂ¸Ã‘â€¡ÃÂ¸ÃÂ²ÃÂ°ÃÂµÃ‘â€šÃ‘ÂÃ‘Â Ã‘â€šÃÂ¾ÃÂ³ÃÂ´ÃÂ°, ÃÂºÃÂ¾ÃÂ³ÃÂ´ÃÂ° ÃÂ¿ÃÂ¾ÃÂ¾Ã‘â€°Ã‘â‚¬Ã‘ÂÃÂµÃ‘â€šÃ‘ÂÃ‘Â Ã‘ÂÃÂ¾ÃÂ²ÃÂ¼ÃÂµÃ‘ÂÃ‘â€šÃÂ½ÃÂ°Ã‘Â ÃÂ¾Ã‘â€šÃÂ²ÃÂµÃ‘â€šÃ‘ÂÃ‘â€šÃÂ²ÃÂµÃÂ½ÃÂ½ÃÂ¾Ã‘ÂÃ‘â€šÃ‘Å’ Ã‘â‚¬ÃÂ°ÃÂ´ÃÂ¸ ÃÂµÃÂ´ÃÂ¸ÃÂ½Ã‘ÂÃ‘â€šÃÂ²ÃÂ° ÃÅ¸Ã‘â‚¬ÃÂ°ÃÂ²ÃÂ¾Ã‘ÂÃÂ»ÃÂ°ÃÂ²ÃÂ¸Ã‘Â. Ãâ€™Ã‘ÂÃÂµÃÂ¿Ã‘â‚¬ÃÂ°ÃÂ²ÃÂ¾Ã‘ÂÃÂ»ÃÂ°ÃÂ²ÃÂ½Ã‘â€¹ÃÂ¹ ÃÂ¡ÃÂ¸ÃÂ½ÃÂ°ÃÂºÃ‘ÂÃÂ¸Ã‘Â ÃÂ¿Ã‘â‚¬ÃÂµÃÂ´ÃÂ»ÃÂ°ÃÂ³ÃÂ°ÃÂµÃ‘â€š ÃÂ¸ÃÂ·ÃÂ¾ÃÂ±Ã‘â‚¬ÃÂ°ÃÂ¶ÃÂµÃÂ½ÃÂ¸ÃÂµ ÃÅ¸Ã‘â‚¬ÃÂ°ÃÂ²ÃÂ¾Ã‘ÂÃÂ»ÃÂ°ÃÂ²ÃÂ¸Ã‘Â ÃÂºÃÂ°ÃÂº ÃÂ´Ã‘Æ’Ã‘â€¦ÃÂ¾ÃÂ²ÃÂ½ÃÂ¾ÃÂ¹ Ã‘ÂÃÂµÃÂ¼Ã‘Å’ÃÂ¸ ÃÅ¸Ã‘â‚¬ÃÂ°ÃÂ²ÃÂ¾Ã‘ÂÃÂ»ÃÂ°ÃÂ²ÃÂ½Ã‘â€¹Ã‘â€¦ ÃÂ¦ÃÂµÃ‘â‚¬ÃÂºÃÂ²ÃÂµÃÂ¹ ÃÂ¸ÃÂ· Ã‘â‚¬ÃÂ°ÃÂ·ÃÂ½Ã‘â€¹Ã‘â€¦ Ã‘â‚¬ÃÂµÃÂ³ÃÂ¸ÃÂ¾ÃÂ½ÃÂ¾ÃÂ², Ã‘ÂÃ‘â€šÃ‘â‚¬ÃÂ°ÃÂ½ ÃÂ¸ ÃÂ½ÃÂ°Ã‘â‚¬ÃÂ¾ÃÂ´ÃÂ¾ÃÂ², ÃÂ±ÃÂ¾ÃÂ»ÃÂµÃÂµ Ã‘â€¡ÃÂµÃÂ¼ Ã‘â‚¬ÃÂµÃÂ»ÃÂ¸ÃÂ³ÃÂ¸ÃÂ¾ÃÂ·ÃÂ½ÃÂ¾ÃÂ³ÃÂ¾ ÃÂ¼ÃÂµÃÂ¶ÃÂ´Ã‘Æ’ÃÂ½ÃÂ°Ã‘â‚¬ÃÂ¾ÃÂ´ÃÂ½ÃÂ¾ÃÂ³ÃÂ¾ ÃÂ¸ÃÂ½Ã‘ÂÃ‘â€šÃÂ¸Ã‘â€šÃ‘Æ’Ã‘â€šÃÂ°. ÃÂ¡ÃÂ¸ÃÂ½ÃÂ°ÃÂºÃ‘ÂÃÂ¸Ã‘Â ÃÂ¿ÃÂ¾ÃÂ¾Ã‘â€°Ã‘â‚¬Ã‘ÂÃÂµÃ‘â€š, ÃÂ²ÃÂ¾-ÃÂ¿ÃÂµÃ‘â‚¬ÃÂ²Ã‘â€¹Ã‘â€¦, ÃÂ±Ã‘â‚¬ÃÂ°Ã‘â€šÃ‘ÂÃÂºÃÂ¾ÃÂµ ÃÂ¾ÃÂ±Ã‘â€°ÃÂµÃÂ½ÃÂ¸ÃÂµ ÃÂ¸ Ã‘â€šÃÂ¾ÃÂ»Ã‘Å’ÃÂºÃÂ¾ ÃÂ²Ã‘â€šÃÂ¾Ã‘â‚¬ÃÂ¾Ã‘ÂÃ‘â€šÃÂµÃÂ¿ÃÂµÃÂ½ÃÂ½ÃÂ¾ Ã‘ÂÃÂ¾ÃÂ²ÃÂ¼ÃÂµÃ‘ÂÃ‘â€šÃÂ½Ã‘â€¹ÃÂµ ÃÂ´ÃÂµÃ‘ÂÃ‘â€šÃÂµÃÂ»Ã‘Å’ÃÂ½Ã‘â€¹ÃÂµ ÃÂ¿Ã‘â‚¬ÃÂ¾ÃÂ³Ã‘â‚¬ÃÂ°ÃÂ¼ÃÂ¼Ã‘â€¹. ÃÅ¸ÃÂ¾Ã‘ÂÃ‘â€šÃÂ¾ÃÂ¼Ã‘Æ’, ÃÂ¿Ã‘â‚¬ÃÂ¾ÃÂ²ÃÂµÃÂ´ÃÂµÃÂ½ÃÂ½Ã‘â€¹ÃÂµ Ã‘Æ’ÃÂ¶ÃÂµ Ãâ€™Ã‘ÂÃÂµÃÂ¿Ã‘â‚¬ÃÂ°ÃÂ²ÃÂ¾Ã‘ÂÃÂ»ÃÂ°ÃÂ²ÃÂ½Ã‘â€¹ÃÂµ ÃÂ¡ÃÂ¸ÃÂ½ÃÂ°ÃÂºÃ‘ÂÃÂ¸Ã‘ÂÃ‘â€¹ ÃÂ±ÃÂ¾ÃÂ»Ã‘Å’Ã‘Ë†ÃÂµ ÃÂ²Ã‘â€¹Ã‘ÂÃ‘â€šÃ‘Æ’ÃÂ¿ÃÂ°ÃÂ»ÃÂ¸ Ã‘Â ÃÂ¾ÃÂ±Ã‘â‚¬ÃÂ°Ã‘â€°ÃÂµÃÂ½ÃÂ¸Ã‘ÂÃÂ¼ÃÂ¸ ÃÂ¸ Ã‘Â Ã‘â‚¬ÃÂµÃÂºÃÂ¾ÃÂ¼ÃÂµÃÂ½ÃÂ´ÃÂ°Ã‘â€ ÃÂ¸Ã‘ÂÃÂ¼ÃÂ¸ ÃÂ´ÃÂ»Ã‘Â ÃÂ¦ÃÂµÃ‘â‚¬ÃÂºÃÂ²ÃÂ¸ ÃÂ¸ ÃÂ¾ÃÂ±Ã‘â€°ÃÂµÃ‘ÂÃ‘â€šÃÂ²ÃÂ°. ÃÂ¢ÃÂµÃÂ¼ ÃÂ½ÃÂµ ÃÂ¼ÃÂµÃÂ½ÃÂµÃÂµ, ÃÂ² Ã‘â‚¬ÃÂ°ÃÂ¼ÃÂºÃÂ°Ã‘â€¦ Ãâ€™Ã‘ÂÃÂµÃÂ¿Ã‘â‚¬ÃÂ°ÃÂ²ÃÂ¾Ã‘ÂÃÂ»ÃÂ°ÃÂ²ÃÂ½ÃÂ¾ÃÂ³ÃÂ¾ ÃÂ¡ÃÂ¸ÃÂ½ÃÂ°ÃÂºÃ‘ÂÃÂ¸Ã‘ÂÃÂ°, ÃÂºÃÂ°ÃÂº ÃÂ² Ã‘ÂÃÂµÃÂ¼Ã‘Å’ÃÂµ, ÃÂ¼ÃÂ¾ÃÂ¶ÃÂ½ÃÂ¾ ÃÂ¾ÃÂ±Ã‘ÂÃ‘Æ’ÃÂ¶ÃÂ´ÃÂ°Ã‘â€šÃ‘Å’ ÃÂ¸ ÃÂºÃÂ¾ÃÂ½ÃÂºÃ‘â‚¬ÃÂµÃ‘â€šÃÂ½Ã‘â€¹ÃÂµ ÃÂ²ÃÂ¾ÃÂ¿Ã‘â‚¬ÃÂ¾Ã‘ÂÃ‘â€¹, ÃÂºÃÂ¾Ã‘â€šÃÂ¾Ã‘â‚¬Ã‘â€¹ÃÂµ ÃÂ¾Ã‘â€šÃ‘â‚¬ÃÂ¸Ã‘â€ ÃÂ°Ã‘â€šÃÂµÃÂ»Ã‘Å’ÃÂ½ÃÂ¾ ÃÂ²ÃÂ»ÃÂ¸Ã‘ÂÃ‘Å½Ã‘â€š ÃÂ½ÃÂ° ÃÂ¾Ã‘â€šÃÂ½ÃÂ¾Ã‘Ë†ÃÂµÃÂ½ÃÂ¸Ã‘Â ÃÂ¼ÃÂµÃÂ¶ÃÂ´Ã‘Æ’ ÃÂ±Ã‘â‚¬ÃÂ°Ã‘â€šÃ‘ÂÃÂºÃÂ¸ÃÂ¼ÃÂ¸ ÃÅ¸Ã‘â‚¬ÃÂ°ÃÂ²ÃÂ¾Ã‘ÂÃÂ»ÃÂ°ÃÂ²ÃÂ½Ã‘â€¹ÃÂ¼ÃÂ¸ ÃÂ¦ÃÂµÃ‘â‚¬ÃÂºÃÂ²ÃÂ°ÃÂ¼ÃÂ¸, ÃÂ° Ã‘â€šÃÂ°ÃÂºÃÂ¶ÃÂµ ÃÂ¿Ã‘â‚¬ÃÂ°ÃÂ²ÃÂ¾Ã‘ÂÃÂ»ÃÂ°ÃÂ²ÃÂ½ÃÂ¾ÃÂµ Ã‘ÂÃÂ²ÃÂ¸ÃÂ´ÃÂµÃ‘â€šÃÂµÃÂ»Ã‘Å’Ã‘ÂÃ‘â€šÃÂ²ÃÂ¾ Ã‘ÂÃÂ¾ÃÂ²Ã‘â‚¬ÃÂµÃÂ¼ÃÂµÃÂ½ÃÂ½ÃÂ¾ÃÂ¼Ã‘Æ’ ÃÂ¼ÃÂ¸Ã‘â‚¬Ã‘Æ’. Ã'ÃÂ°ÃÂ¶ÃÂµ ÃÂµÃ‘ÂÃÂ»ÃÂ¸ Ãâ€™Ã‘ÂÃÂµÃÂ¿Ã‘â‚¬ÃÂ°ÃÂ²ÃÂ¾Ã‘ÂÃÂ»ÃÂ°ÃÂ²ÃÂ½Ã‘â€¹ÃÂ¹ ÃÂ¡ÃÂ¸ÃÂ½ÃÂ°ÃÂºÃ‘ÂÃÂ¸Ã‘Â ÃÂ½ÃÂµ Ã‘ÂÃÂ²ÃÂ»Ã‘ÂÃÂµÃ‘â€šÃ‘ÂÃ‘Â Ãâ€™Ã‘ÂÃÂµÃÂ¿Ã‘â‚¬ÃÂ°ÃÂ²ÃÂ¾Ã‘ÂÃÂ»ÃÂ°ÃÂ²ÃÂ½Ã‘â€¹ÃÂ¼ ÃÂ¡ÃÂ¾ÃÂ±ÃÂ¾Ã‘â‚¬ÃÂ¾ÃÂ¼, Ã‘â€šÃÂµÃÂ¼ ÃÂ½ÃÂµ ÃÂ¼ÃÂµÃÂ½ÃÂµÃÂµ, ÃÂ¾ÃÂ½ ÃÂ¼ÃÂ¾ÃÂ¶ÃÂµÃ‘â€š Ã‘ÂÃÂ¿ÃÂ¾Ã‘ÂÃÂ¾ÃÂ±Ã‘ÂÃ‘â€šÃÂ²ÃÂ¾ÃÂ²ÃÂ°Ã‘â€šÃ‘Å’ ÃÂ¿ÃÂ¾ÃÂ½ÃÂ¸ÃÂ¼ÃÂ°ÃÂ½ÃÂ¸Ã‘Å½ ÃÂ²ÃÂ°ÃÂ¶ÃÂ½ÃÂ¾Ã‘ÂÃ‘â€šÃÂ¸ Ã‘ÂÃÂ¸ÃÂ½ÃÂ¾ÃÂ´ÃÂ°ÃÂ»Ã‘Å’ÃÂ½ÃÂ¾ÃÂ³ÃÂ¾ ÃÂ¿Ã‘â‚¬ÃÂ¸ÃÂ½Ã‘â€ ÃÂ¸ÃÂ¿ÃÂ° ÃÂ½ÃÂ° ÃÂ²Ã‘ÂÃÂµÃÂ¿Ã‘â‚¬ÃÂ°ÃÂ²ÃÂ¾Ã‘ÂÃÂ»ÃÂ°ÃÂ²ÃÂ½ÃÂ¾ÃÂ¼ ÃÂ¸ÃÂ»ÃÂ¸ ÃÂ²Ã‘ÂÃÂµÃÂ»ÃÂµÃÂ½Ã‘ÂÃÂºÃÂ¾ÃÂ¼ Ã‘Æ’Ã‘â‚¬ÃÂ¾ÃÂ²ÃÂ½ÃÂµ. ÃÅ¸ÃÂ¾Ã‘ÂÃÂºÃÂ¾ÃÂ»Ã‘Å’ÃÂºÃ‘Æ’ ÃÂ¡ÃÂ²Ã‘ÂÃ‘â€°ÃÂµÃÂ½ÃÂ½Ã‘â€¹ÃÂµ ÃÅ¡ÃÂ°ÃÂ½ÃÂ¾ÃÂ½Ã‘â€¹ Ã‘â€šÃ‘â‚¬ÃÂµÃÂ±Ã‘Æ’Ã‘Å½Ã‘â€š, Ã‘â€¡Ã‘â€šÃÂ¾ÃÂ±Ã‘â€¹ ÃÂµÃÂ¿ÃÂ¸Ã‘ÂÃÂºÃÂ¾ÃÂ¿Ã‘â€¹ Ã‘ÂÃÂ¾ÃÂ±ÃÂ¸Ã‘â‚¬ÃÂ°ÃÂ»ÃÂ¸Ã‘ÂÃ‘Å’ ÃÂ² ÃÂ¡ÃÂ¸ÃÂ½ÃÂ¾ÃÂ´ÃÂµ Ã‘â€¦ÃÂ¾Ã‘â€šÃ‘Â ÃÂ±Ã‘â€¹ ÃÂ´ÃÂ²ÃÂ° Ã‘â‚¬ÃÂ°ÃÂ·ÃÂ° ÃÂ² ÃÂ³ÃÂ¾ÃÂ´ (37 ÃÂ°ÃÂ¿ÃÂ¾Ã‘ÂÃ‘â€šÃÂ¾ÃÂ»Ã‘Å’Ã‘ÂÃÂºÃÂ¾ÃÂµ ÃÂ¿Ã‘â‚¬ÃÂ°ÃÂ²ÃÂ¸ÃÂ»ÃÂ¾, 5 ÃÂ¿Ã‘â‚¬ÃÂ°ÃÂ²ÃÂ¸ÃÂ»ÃÂ¾ ÃÅ¸ÃÂµÃ‘â‚¬ÃÂ²ÃÂ¾ÃÂ³ÃÂ¾ Ãâ€™Ã‘ÂÃÂµÃÂ»ÃÂµÃÂ½Ã‘ÂÃÂºÃÂ¾ÃÂ³ÃÂ¾ ÃÂ¡ÃÂ¾ÃÂ±ÃÂ¾Ã‘â‚¬ÃÂ°, 19 ÃÂ¿Ã‘â‚¬ÃÂ°ÃÂ²ÃÂ¸ÃÂ»ÃÂ¾ ÃÂ§ÃÂµÃ‘â€šÃÂ²ÃÂµÃ‘â‚¬Ã‘â€šÃÂ¾ÃÂ³ÃÂ¾ Ãâ€™Ã‘ÂÃÂµÃÂ»ÃÂµÃÂ½Ã‘ÂÃÂºÃÂ¾ÃÂ³ÃÂ¾ ÃÂ¡ÃÂ¾ÃÂ±ÃÂ¾Ã‘â‚¬ÃÂ° ÃÂ¸ 20 ÃÂ¿Ã‘â‚¬ÃÂ°ÃÂ²ÃÂ¸ÃÂ»ÃÂ¾ ÃÂÃÂ½Ã‘â€šÃÂ¸ÃÂ¾Ã‘â€¦ÃÂ¸ÃÂ¹Ã‘ÂÃÂºÃÂ¾ÃÂ³ÃÂ¾ ÃÂ¿ÃÂ¾ÃÂ¼ÃÂµÃ‘ÂÃ‘â€šÃÂ½ÃÂ¾ÃÂ³ÃÂ¾ Ã‘ÂÃÂ¾ÃÂ±ÃÂ¾Ã‘â‚¬ÃÂ°), Ãâ€™Ã‘ÂÃÂµÃÂ¿Ã‘â‚¬ÃÂ°ÃÂ²ÃÂ¾Ã‘ÂÃÂ»ÃÂ°ÃÂ²ÃÂ½Ã‘â€¹ÃÂµ ÃÂ¡ÃÂ¸ÃÂ½ÃÂ°ÃÂºÃ‘ÂÃÂ¸Ã‘ÂÃ‘â€¹ ÃÂ½Ã‘Æ’ÃÂ¶ÃÂ½ÃÂ¾ Ã‘ÂÃÂ¾ÃÂ·Ã‘â€¹ÃÂ²ÃÂ°Ã‘â€šÃ‘Å’ Ã‘â€¦ÃÂ¾Ã‘â€šÃ‘Â ÃÂ±Ã‘â€¹ ÃÂ¾ÃÂ´ÃÂ¸ÃÂ½ Ã‘â‚¬ÃÂ°ÃÂ· ÃÂ² ÃÂ´ÃÂ²ÃÂ° ÃÂ³ÃÂ¾ÃÂ´ÃÂ°, Ã‘â€¡Ã‘â€šÃÂ¾ÃÂ±Ã‘â€¹ Ã‘Æ’ÃÂ»Ã‘Æ’Ã‘â€¡Ã‘Ë†ÃÂ¸Ã‘â€šÃ‘Å’ ÃÂ¾ÃÂ±Ã‘â€°ÃÂµÃÂ½ÃÂ¸ÃÂµ, Ã‘ÂÃÂ¾Ã‘â€šÃ‘â‚¬Ã‘Æ’ÃÂ´ÃÂ½ÃÂ¸Ã‘â€¡ÃÂµÃ‘ÂÃ‘â€šÃÂ²ÃÂ¾ ÃÂ¸ ÃÂ²Ã‘ÂÃÂµÃÂ¿Ã‘â‚¬ÃÂ°ÃÂ²ÃÂ¾Ã‘ÂÃÂ»ÃÂ°ÃÂ²ÃÂ½Ã‘Æ’Ã‘Å½ Ã‘ÂÃÂ¾ÃÂ»ÃÂ¸ÃÂ´ÃÂ°Ã‘â‚¬ÃÂ½ÃÂ¾Ã‘ÂÃ‘â€šÃ‘Å’. ÃÅ¸ÃÂ°Ã‘â‚¬ÃÂ°ÃÂ´ÃÂ¾ÃÂºÃ‘ÂÃÂ°ÃÂ»Ã‘Å’ÃÂ½ÃÂ¾, ÃÂ½ÃÂ¾ ÃÂ½ÃÂ° Ã‘ÂÃÂµÃÂ³ÃÂ¾ÃÂ´ÃÂ½Ã‘ÂÃ‘Ë†ÃÂ½ÃÂ¸ÃÂ¹ ÃÂ´ÃÂµÃÂ½Ã‘Å’ ÃÂÃÂ²Ã‘â€šÃÂ¾ÃÂºÃÂµÃ‘â€žÃÂ°ÃÂ»Ã‘Å’ÃÂ½Ã‘â€¹ÃÂµ ÃÅ¸Ã‘â‚¬ÃÂ°ÃÂ²ÃÂ¾Ã‘ÂÃÂ»ÃÂ°ÃÂ²ÃÂ½Ã‘â€¹ÃÂµ ÃÂ¦ÃÂµÃ‘â‚¬ÃÂºÃÂ²ÃÂ¸ ÃÂ±ÃÂ¾ÃÂ»Ã‘Å’Ã‘Ë†ÃÂµ ÃÂ¿ÃÂ¾ÃÂ¾Ã‘â€°Ã‘â‚¬Ã‘ÂÃ‘Å½Ã‘â€š ÃÂ¼ÃÂµÃÂ¶ÃÂ´Ã‘Æ’ÃÂ½ÃÂ°Ã‘â‚¬ÃÂ¾ÃÂ´ÃÂ½Ã‘â€¹ÃÂµ ÃÂ¾Ã‘â€žÃÂ¸Ã‘â€ ÃÂ¸ÃÂ°ÃÂ»Ã‘Å’ÃÂ½Ã‘â€¹ÃÂµ ÃÂ´ÃÂ¸ÃÂ°ÃÂ»ÃÂ¾ÃÂ³ÃÂ¸ Ã‘Â ÃÂ´Ã‘â‚¬Ã‘Æ’ÃÂ³ÃÂ¸ÃÂ¼ÃÂ¸ ÃÂ¦ÃÂµÃ‘â‚¬ÃÂºÃÂ²Ã‘ÂÃÂ¼ÃÂ¸, Ã‘â€¡ÃÂµÃÂ¼ ÃÂ´ÃÂ¸ÃÂ°ÃÂ»ÃÂ¾ÃÂ³ ÃÂ¸ Ã‘ÂÃÂ¾Ã‘â€šÃ‘â‚¬Ã‘Æ’ÃÂ´ÃÂ½ÃÂ¸Ã‘â€¡ÃÂµÃ‘ÂÃ‘â€šÃÂ²ÃÂ¾ ÃÂ¼ÃÂµÃÂ¶ÃÂ´Ã‘Æ’ Ã‘ÂÃÂ¾ÃÂ±ÃÂ¾ÃÂ¹. 2.Ã‘â€žÃÂµÃÂ½ÃÂ¾ÃÂ¼ÃÂµÃÂ½ ÃÂ¼ÃÂ¸ÃÂ³Ã‘â‚¬ÃÂ°Ã‘â€ ÃÂ¸ÃÂ¸, ÃÂºÃÂ¾Ã‘â€šÃÂ¾Ã‘â‚¬Ã‘â€¹ÃÂ¹ Ã‘ÂÃÂ¾ÃÂ·ÃÂ´ÃÂ°ÃÂµÃ‘â€š ÃÂ½ÃÂ¾ÃÂ²Ã‘â€¹ÃÂµ ÃÂ¾ÃÂ±Ã‘â€°ÃÂµÃ‘ÂÃ‘â€šÃÂ²ÃÂµÃÂ½ÃÂ½Ã‘â€¹ÃÂµ ÃÂ¸ ÃÂ¿ÃÂ°Ã‘ÂÃ‘â€šÃ‘â€¹Ã‘â‚¬Ã‘ÂÃÂºÃÂ¸ÃÂµ ÃÂ¿Ã‘â‚¬ÃÂ¾ÃÂ±ÃÂ»ÃÂµÃÂ¼Ã‘â€¹, ÃÂ¾Ã‘ÂÃÂ¾ÃÂ±ÃÂµÃÂ½ÃÂ½ÃÂ¾ Ã‘â€šÃÂ¾ÃÂ³ÃÂ´ÃÂ°, ÃÂºÃÂ¾ÃÂ³ÃÂ´ÃÂ° ÃÂ¼ÃÂ¸ÃÂ³Ã‘â‚¬ÃÂ°Ã‘â€ ÃÂ¸Ã‘Â Ã‘ÂÃÂ¿Ã‘â‚¬ÃÂ¾ÃÂ²ÃÂ¾Ã‘â€ ÃÂ¸Ã‘â‚¬ÃÂ¾ÃÂ²ÃÂ°ÃÂ½ÃÂ° ÃÂ²ÃÂ¾ÃÂ¹ÃÂ½ÃÂ¾ÃÂ¹ ÃÂ¸ÃÂ»ÃÂ¸ ÃÂ³ÃÂ¾ÃÂ½ÃÂµÃÂ½ÃÂ¸Ã‘ÂÃÂ¼ÃÂ¸, ÃÂºÃÂ°ÃÂº ÃÂ¼Ã‘â€¹ Ã‘ÂÃÂµÃÂ³ÃÂ¾ÃÂ´ÃÂ½Ã‘Â ÃÂ½ÃÂ°ÃÂ±ÃÂ»Ã‘Å½ÃÂ´ÃÂ°ÃÂµÃÂ¼ ÃÂ² ÃÂ¡ÃÂ¸Ã‘â‚¬ÃÂ¸ÃÂ¸ ÃÂ¸ÃÂ»ÃÂ¸ ÃÂ² ÃÂ´Ã‘â‚¬Ã‘Æ’ÃÂ³ÃÂ¸Ã‘â€¦ ÃÂ¼ÃÂµÃ‘ÂÃ‘â€šÃÂ°Ã‘â€¦. 3.Ã‘ÂÃÂºÃÂ¾ÃÂ½ÃÂ¾ÃÂ¼ÃÂ¸Ã‘â€¡ÃÂµÃ‘ÂÃÂºÃÂ¸ÃÂ¹ ÃÂ¸ Ã‘â€žÃÂ¸ÃÂ½ÃÂ°ÃÂ½Ã‘ÂÃÂ¾ÃÂ²Ã‘â€¹ÃÂ¹ ÃÂºÃ‘â‚¬ÃÂ¸ÃÂ·ÃÂ¸Ã‘Â, ÃÂºÃÂ¾Ã‘â€šÃÂ¾Ã‘â‚¬Ã‘â€¹ÃÂ¹ ÃÂ¿Ã‘â‚¬ÃÂ¸ÃÂ·Ã‘â€¹ÃÂ²ÃÂ°ÃÂµÃ‘â€š ÃÂ½ÃÂ°Ã‘Â ÃÂº ÃÂ¿Ã‘â‚¬ÃÂ¾Ã‘ÂÃÂ²ÃÂ»ÃÂµÃÂ½ÃÂ¸Ã‘Å½ ÃÂ±ÃÂ¾ÃÂ»Ã‘Å’Ã‘Ë†ÃÂµÃÂ¹ Ã‘ÂÃÂ¾ÃÂ»ÃÂ¸ÃÂ´ÃÂ°Ã‘â‚¬ÃÂ½ÃÂ¾Ã‘ÂÃ‘â€šÃÂ¸ ÃÂº ÃÂ±ÃÂµÃÂ´ÃÂ½Ã‘â€¹ÃÂ¼, ÃÂ±ÃÂ¾ÃÂ»Ã‘Å’ÃÂ½Ã‘â€¹ÃÂ¼ ÃÂ¸ ÃÂ¾ÃÂ´ÃÂ¸ÃÂ½ÃÂ¾ÃÂºÃÂ¸ÃÂ¼. Ã'Ã‘Æ’Ã‘â€¦ÃÂ¾ÃÂ²ÃÂ½ÃÂ°Ã‘Â, ÃÂ¿ÃÂ°Ã‘ÂÃ‘â€šÃ‘â€¹Ã‘â‚¬Ã‘ÂÃÂºÃÂ°Ã‘Â ÃÂ¸ Ã‘ÂÃÂ¾Ã‘â€ ÃÂ¸ÃÂ°ÃÂ»Ã‘Å’ÃÂ½ÃÂ°Ã‘Â ÃÂ¼ÃÂ¸Ã‘ÂÃ‘ÂÃÂ¸ÃÂ¸ ÃÅ¸Ã‘â‚¬ÃÂ°ÃÂ²ÃÂ¾Ã‘ÂÃÂ»ÃÂ°ÃÂ²ÃÂ¸Ã‘Â ÃÂ¿Ã‘â‚¬ÃÂ¸ÃÂ·Ã‘â€¹ÃÂ²ÃÂ°Ã‘Å½Ã‘â€š ÃÂ½ÃÂ°Ã‘Â Ã‘ÂÃÂµÃÂ³ÃÂ¾ÃÂ´ÃÂ½Ã‘Â Ã‘ÂÃÂ¾ÃÂµÃÂ´ÃÂ¸ÃÂ½ÃÂ¸Ã‘â€šÃ‘Å’ Ã‘â€šÃÂµÃ‘â‚¬Ã‘â‚¬ÃÂ¸Ã‘â€šÃÂ¾Ã‘â‚¬ÃÂ¸ÃÂ°ÃÂ»Ã‘Å’ÃÂ½Ã‘Æ’Ã‘Å½ ÃÂºÃÂ°ÃÂ½ÃÂ¾ÃÂ½ÃÂ¸Ã‘â€¡ÃÂµÃ‘ÂÃÂºÃ‘Æ’Ã‘Å½ Ã‘Å½Ã‘â‚¬ÃÂ¸Ã‘ÂÃÂ´ÃÂ¸ÃÂºÃ‘â€ ÃÂ¸Ã‘Å½ Ã‘Â ÃÂ¿ÃÂ°Ã‘ÂÃ‘â€šÃ‘â€¹Ã‘â‚¬Ã‘ÂÃÂºÃÂ¸ÃÂ¼ ÃÂ¾Ã‘â€šÃÂ²ÃÂµÃ‘â€šÃ‘ÂÃ‘â€šÃÂ²ÃÂµÃÂ½ÃÂ½Ã‘â€¹ÃÂ¼ ÃÂ¾ÃÂºÃÂ¾Ã‘â‚¬ÃÂ¼ÃÂ»ÃÂµÃÂ½ÃÂ¸ÃÂµÃÂ¼ ÃÂºÃÂ¾ÃÂ½ÃÂºÃ‘â‚¬ÃÂµÃ‘â€šÃÂ½Ã‘â€¹Ã‘â€¦ ÃÂ»ÃÂ¸Ã‘â€ , ÃÂ° Ã‘â€šÃÂ°ÃÂºÃÂ¶ÃÂµ ÃÂ¿ÃÂ¾ÃÂ¼ÃÂµÃ‘ÂÃ‘â€šÃÂ½Ã‘Æ’Ã‘Å½ ÃÂÃÂ²Ã‘â€šÃÂ¾ÃÂºÃÂµÃ‘â€žÃÂ°ÃÂ»ÃÂ¸Ã‘Å½ Ã‘Â Ãâ€™Ã‘ÂÃÂµÃÂ»ÃÂµÃÂ½Ã‘ÂÃÂºÃÂ¸ÃÂ¼ ÃÅ¸Ã‘â‚¬ÃÂ°ÃÂ²ÃÂ¾Ã‘ÂÃÂ»ÃÂ°ÃÂ²ÃÂ¸ÃÂµÃÂ¼. Ãâ€™ Ã‘ÂÃ‘â€šÃÂ¾ÃÂ¼ Ã‘ÂÃÂ¼Ã‘â€¹Ã‘ÂÃÂ»ÃÂµ, ÃÂ±ÃÂ»ÃÂ°ÃÂ³ÃÂ¾ÃÂ´ÃÂ°Ã‘â‚¬ÃÂ¸ÃÂ¼ ÃÂ¡ÃÂ²Ã‘ÂÃ‘â€šÃÂµÃÂ¹Ã‘Ë†ÃÂµÃÂ³ÃÂ¾ Ãâ€™ÃÂ°Ã‘â‚¬Ã‘â€žÃÂ¾ÃÂ»ÃÂ¾ÃÂ¼ÃÂµÃ‘Â, ÃÅ¸ÃÂ°Ã‘â€šÃ‘â‚¬ÃÂ¸ÃÂ°Ã‘â‚¬Ã‘â€¦ÃÂ° ÃÅ¡ÃÂ¾ÃÂ½Ã‘ÂÃ‘â€šÃÂ°ÃÂ½Ã‘â€šÃÂ¸ÃÂ½ÃÂ¾ÃÂ¿ÃÂ¾ÃÂ»Ã‘Å’Ã‘ÂÃÂºÃÂ¾ÃÂ³ÃÂ¾, ÃÂ·ÃÂ° ÃÂ¿Ã‘â‚¬ÃÂ¸ÃÂ³ÃÂ»ÃÂ°Ã‘Ë†ÃÂµÃÂ½ÃÂ¸ÃÂµ ÃÂ¿Ã‘â‚¬ÃÂ¸ÃÂ½Ã‘ÂÃ‘â€šÃ‘Å’ Ã‘Æ’Ã‘â€¡ÃÂ°Ã‘ÂÃ‘â€šÃÂ¸ÃÂµ ÃÂ² Ã‘ÂÃ‘â€šÃÂ¾ÃÂ¼ ÃÂ¡ÃÂ¸ÃÂ½ÃÂ°ÃÂºÃ‘ÂÃÂ¸Ã‘ÂÃÂµ, ÃÂ½ÃÂ°ÃÂ´ÃÂµÃ‘ÂÃ‘ÂÃ‘Å’ ÃÂ½ÃÂ° Ã‘â€šÃÂ¾, Ã‘â€¡Ã‘â€šÃÂ¾ ÃÂ±Ã‘â‚¬ÃÂ°Ã‘â€šÃ‘ÂÃÂºÃÂ¸ÃÂµ ÃÂ´ÃÂ¸ÃÂ°ÃÂ»ÃÂ¾ÃÂ³ ÃÂ¸ Ã‘ÂÃÂ¾Ã‘â€šÃ‘â‚¬Ã‘Æ’ÃÂ´ÃÂ½ÃÂ¸Ã‘â€¡ÃÂµÃ‘ÂÃ‘â€šÃÂ²ÃÂ¾ ÃÂ¿ÃÂ¾ÃÂ¼ÃÂ¾ÃÂ³Ã‘Æ’Ã‘â€š ÃÂ½ÃÂ°ÃÂ¼ ÃÂ±ÃÂ¾ÃÂ»Ã‘Å’Ã‘Ë†ÃÂµ ÃÂ»Ã‘Å½ÃÂ±ÃÂ¸Ã‘â€šÃ‘Å’ ÃÂ¸ Ã‘ÂÃÂ»Ã‘Æ’ÃÂ¶ÃÂ¸Ã‘â€šÃ‘Å’ ÃÅ¸Ã‘â‚¬ÃÂ°ÃÂ²ÃÂ¾Ã‘ÂÃÂ»ÃÂ°ÃÂ²ÃÂ¸Ã‘Å½ ÃÂ¸ ÃÂµÃÂ³ÃÂ¾ ÃÂ¼ÃÂ¸Ã‘ÂÃ‘ÂÃÂ¸ÃÂ¸ ÃÂ² Ã‘ÂÃÂ¾ÃÂ²Ã‘â‚¬ÃÂµÃÂ¼ÃÂµÃÂ½ÃÂ½ÃÂ¾ÃÂ¼ ÃÂ¾ÃÂ±Ã‘â€°ÃÂµÃ‘ÂÃ‘â€šÃÂ²ÃÂµ. Ãâ€™Ã‘â€¹Ã‘ÂÃÂ¾ÃÂºÃÂ¾ Ã‘â€ ÃÂµÃÂ½ÃÂ¸ÃÂ¼ ÃÂ´Ã‘Æ’Ã‘â€¦ÃÂ¾ÃÂ²ÃÂ½Ã‘â€¹ÃÂµ ÃÂ¸ ÃÂ¼ÃÂ°Ã‘â€šÃÂµÃ‘â‚¬ÃÂ¸ÃÂ°ÃÂ»Ã‘Å’ÃÂ½Ã‘â€¹ÃÂµ Ã‘Æ’Ã‘ÂÃÂ¸ÃÂ»ÃÂ¸Ã‘Â Ãâ€™Ã‘ÂÃÂµÃÂ»ÃÂµÃÂ½Ã‘ÂÃÂºÃÂ¾ÃÂ³ÃÂ¾ ÃÅ¸ÃÂ°Ã‘â€šÃ‘â‚¬ÃÂ¸ÃÂ°Ã‘â‚¬Ã‘â€¦ÃÂ°Ã‘â€šÃÂ° ÃÂº ÃÂ¿ÃÂ¾ÃÂ´ÃÂ³ÃÂ¾Ã‘â€šÃÂ¾ÃÂ²ÃÂºÃÂµ ÃÂ¡ÃÂ²Ã‘ÂÃ‘â€°ÃÂµÃÂ½ÃÂ½ÃÂ¾ÃÂ³ÃÂ¾ ÃÂ¸ Ãâ€™ÃÂµÃÂ»ÃÂ¸ÃÂºÃÂ¾ÃÂ³ÃÂ¾ Ãâ€™Ã‘ÂÃÂµÃÂ¿Ã‘â‚¬ÃÂ°ÃÂ²ÃÂ¾Ã‘ÂÃÂ»ÃÂ°ÃÂ²ÃÂ½ÃÂ¾ÃÂ³ÃÂ¾ ÃÂ¡ÃÂ¾ÃÂ±ÃÂ¾Ã‘â‚¬ÃÂ°, ÃÂ¿ÃÂ¾Ã‘ÂÃ‘â‚¬ÃÂµÃÂ´Ã‘ÂÃ‘â€šÃÂ²ÃÂ¾ÃÂ¼ Ãâ€™Ã‘ÂÃÂµÃÂ¿Ã‘â‚¬ÃÂ°ÃÂ²ÃÂ¾Ã‘ÂÃÂ»ÃÂ°ÃÂ²ÃÂ½Ã‘â€¹Ã‘â€¦ ÃÅ¡ÃÂ¾ÃÂ¼ÃÂ¸Ã‘ÂÃ‘ÂÃÂ¸ÃÂ¹ ÃÂ¸ ÃÅ¡ÃÂ¾ÃÂ½Ã‘â€žÃÂµÃ‘â‚¬ÃÂµÃÂ½Ã‘â€ ÃÂ¸ÃÂ¹, ÃÂ° Ã‘â€šÃÂ°ÃÂºÃÂ¶ÃÂµ ÃÂ¡ÃÂ¸ÃÂ½ÃÂ°ÃÂºÃ‘ÂÃÂ¸Ã‘ÂÃÂ¾ÃÂ² ÃÅ¸Ã‘â‚¬ÃÂµÃÂ´Ã‘ÂÃ‘â€šÃÂ¾Ã‘ÂÃ‘â€šÃÂµÃÂ»ÃÂµÃÂ¹, ÃÂ½ÃÂ° ÃÂ±ÃÂ»ÃÂ°ÃÂ³ÃÂ¾ ÃÂ²Ã‘ÂÃÂµÃÂ¼Ã‘Æ’ ÃÅ¸Ã‘â‚¬ÃÂ°ÃÂ²ÃÂ¾Ã‘ÂÃÂ»ÃÂ°ÃÂ²ÃÂ¸Ã‘Å½. Η ΣÃÂναξη ÃŽÂ® η συνÃŽÂ­λευση των ΠροκαθημÃŽÂ­νων των ΟρθοδÃÅ’ξων ΑυτοκεφÃŽÂ¬λων ΕκκλησιÃÅ½ν δεν αποτελεÃŽÂ¯ ÃŽÂ­να διαρκÃŽÂ­ς ÃŽÂ¯δρυμα, αλλÃŽÂ¬ μÃŽÂ¯α σημαντικÃŽÂ® πνευματικÃŽÂ® εκδÃŽÂ®λωση. Η ΠανορθÃÅ’δοξη ΣÃÂναξη των ΠροκαθημÃŽÂ­νων δεν ÃŽÂ­χει οÃÂτε ÃŽÂ­να επÃŽÂ¯σημο καθεστÃÅ½ς, οÃÂτε κανονικο-νομικÃŽÂ¬ καθÃŽÂ®κοντα καλÃŽÂ¬ τυπομÃŽÂ­να. Η ΣÃÂναξη δεν αποτελεÃŽÂ¯ μÃŽÂ¯α ΠανορθÃÅ’δοξος ΣÃÂνοδος, αλλÃŽÂ¬ μÃŽÂ¯α πανορθÃÅ’δοξη αντιπροσÃÅ½πευση των αυτοκεφÃŽÂ¬λων συνÃÅ’δων, οι οποÃŽÂ¯ες προεδρεÃÂονται απÃÅ’ τους παρÃÅ’ντες ΠροκαθÃŽÂ®μενοι εις την ΣÃÂναξη. Η ΠανορθÃÅ’δοξη ΣÃÂναξη ÃŽÂ­χει στο παρÃÅ’ν ÃŽÂ­να συμβουλευτικÃÅ’ και καθοδηγητικÃÅ’ ρÃÅ’λο με σκοπÃÅ’ να στερεωποιÃŽÂ®σει την εκκλησιαστικÃŽÂ® κοινωνÃŽÂ¯α μÃŽÂ­σω το ευχαριστιακÃÅ’ συλλεÃŽÂ¯τουργο, την ποιμαντικÃŽÂ® συνυπευθυνÃÅ’τητα μÃŽÂ­σω διαλÃÅ’γου και τη μισιοναρικÃŽÂ® συνεργασÃŽÂ¯α διÃŽÂ¬ των ενεργειÃÅ½ν μεταξÃÂ των ΟρθοδÃÅ’ξων ΑυτοκεφÃŽÂ¬λων ΕκκλησιÃÅ½ν και μεταξÃÂ της σχÃŽÂ­σης της ΟρθοδοξÃŽÂ¯ας με τον κÃÅ’σμο σÃŽÂ®μερα. Η πνευματικÃŽÂ® εξουσÃŽÂ¯α της ΣÃÂναξης προοδεÃÂει ιδιαÃŽÂ¯τερα με την καλλιÃŽÂ­ργεια της συνυπευθυνÃÅ’τητας για την ενÃÅ’τητα της ΟρθοδοξÃŽÂ¯ας. Η ΠανορθÃÅ’δοξη ΣÃÂναξη προσφÃŽÂ­ρει την εικÃÅ’να της ΟρθοδοξÃŽÂ¯ας ως μÃŽÂ¯α πνευματικÃŽÂ® οικογÃŽÂ­νεια των ΟρθοδÃÅ’ξων ΕκκλησιÃÅ½ν απÃÅ’ διαφορετικÃŽÂ­ς περιοχÃŽÂ­ς, χÃÅ½ρες και εθνÃÅ’τητες, παρÃŽÂ¬ ÃŽÂ­να διεθνÃŽÂ­ς θρησκευτικÃÅ’ ÃŽÂ¯δρυμα. ΑυτÃŽÂ® η ΣÃÂναξη καλλιεργεÃŽÂ¯ πρÃÅ½τα την αδελφικÃŽÂ® κοινωνÃŽÂ¯α και ÃŽÂ­πειτα κοινÃŽÂ¬ προγρÃŽÂ¬μματα δραστηριοτÃŽÂ®των. Γι’αυτÃÅ’ το λÃÅ’γο, οι μÃŽÂ­χρι τÃÅ½ρα ΠανορθÃÅ’δοξες ΣυνÃŽÂ¬ξεις ÃŽÂ­χουν μεταδÃÅ’σει περισσÃÅ’τερα μυνÃŽÂ®ματα και προτÃŽÂ¬σεις για την ΕκκλησÃŽÂ¯α και την κοινÃÅ’τητα. Παρ’ÃÅ’λα ταÃÂτα, σε μια ΠανορθÃÅ’δοξη ΣÃÂναξη, ÃÅ’πως εντÃÅ’ς μιας οικογÃŽÂ­νειας μποροÃÂν να συζητηθοÃÂν συγκεκρημÃŽÂ­να προβλÃŽÂ®ματα τα οποÃŽÂ¯α επηρεÃŽÂ¬ζουν αρνητικÃŽÂ¬ τις σχÃŽÂ­σεις μεταξÃÂ των ΟρθοδÃÅ’ξων αδελφÃÅ½ν ΕκκλησιÃÅ½ν και την ορθÃÅ’δοξο μαρτυρÃŽÂ¯α στον κÃÅ’σμο σÃŽÂ®μερα. Αν και η ΠανορθÃÅ’δοξη ΣÃÂναξη δεν εÃŽÂ¯ναι μια ΠανορθÃÅ’δοξος ΣÃÂνοδος, αυτÃŽÂ® μπορεÃŽÂ¯ να βοηθÃŽÂ®σει εις την κατανÃÅ’ηση της συνοδαλικÃŽÂ®ς αξÃŽÂ¯ας σε πανορθÃÅ’δοξο και διεθνÃŽÂ­ς επÃŽÂ¯πεδο. ΩστÃÅ’σο επειδÃŽÂ® οι ΙεροÃŽÂ¯ ΚανÃÅ’νες προτρÃŽÂ­πουν ÃÅ’τι οι ΕπÃŽÂ¯σκοποι πρÃŽÂ­πει να συγκεντρÃÅ½νονται σε ΣÃÂνοδο τουλÃŽÂ¬χιστον δÃÂο φορÃŽÂ­ς το χρÃÅ’νο (ο 37ος ΑποστολικÃÅ’ς ΚανÃÅ½νας, ο 5ος ΚανÃÅ½νας της ΑÃŽâ€ž ΟικουμενικÃŽÂ®ς ΣυνÃÅ’δου, ο 19ος ΚανÃÅ½νας της ΔÃŽâ€ž ΟικουμενικÃŽÂ®ς ΣυνÃÅ’δου και ο 20ος κανÃÅ½νας της τοπικÃŽÂ®ς ΣυνÃÅ’δου ΑντιοχεÃŽÂ¯ας), οι πανορθÃÅ’δοξες συνÃŽÂ¬ξεις θα ÃŽÂ­πρεπε να οργανωθοÃÂν τουλÃŽÂ¬χιστον κÃŽÂ¬θε δÃÂο χρÃÅ’νια, για την αÃÂξηση της κοινωνÃŽÂ¯ας, συνεργασÃŽÂ¯ας και πανορθÃÅ’δοξης αλληλεγγÃÂης σÃŽÂ®μερα. Με παρÃŽÂ¬δοξο τρÃÅ’πο, οι ΑυτοκÃŽÂ­φαλες ΟρθÃÅ’δοξες ΕκκλησÃŽÂ¯ες καλλιεργοÃÂν σÃŽÂ®μερα περισσÃÅ’τερους επÃŽÂ¯σημους διεθνεÃŽÂ¯ς διαλÃÅ’γους με ÃŽÂ¬λλες ΕκκλησÃŽÂ¯ες παρÃŽÂ¬ το διÃŽÂ¬λογο και τη συνεργασÃŽÂ¯α μεταξÃÂ τους. 1.Η εκκοσμÃŽÂ¯κευση ÃŽÂ® η θρησκευτικÃŽÂ® αδιαφορÃŽÂ¯α, η οποÃŽÂ¯α βλÃŽÂ¬πτει την παραδοσιακÃŽÂ® οικογÃŽÂ­νεια, την ορθÃÅ’δοξη ενορÃŽÂ¯α, το ορθÃÅ’δοξο μοναστÃŽÂ®ρι και την ορθÃÅ’δοξη ιεραποστολÃŽÂ® στην κοινωνÃŽÂ¯α. 2.Το φαινÃÅ’μενο της μετανÃŽÂ¬στευσης, το οποÃŽÂ¯ο δημιουργεÃŽÂ¯ καινοÃÂργια κοινονικÃŽÂ¬ και ποιμαντικÃŽÂ¬ προβλÃŽÂ®ματα, ειδικÃŽÂ¬ ÃÅ’ταν η μετανÃŽÂ¬στευση προκαλεÃŽÂ¯ται απÃÅ’ πολÃŽÂ­μους και διωγμοÃÂς, ÃÅ’πως παρατηρεÃŽÂ¯ται σÃŽÂ®μαρα στη ΣυρÃŽÂ¯α και σε ÃŽÂ¬λλα μÃŽÂ­ρη του κÃÅ’σμου. 3.Η οικονομικÃŽÂ® και χρηματοπιστωτικÃŽÂ® κρÃŽÂ¯ση, η οποÃŽÂ¯α μας καλεÃŽÂ¯ να αυξÃŽÂ¬νουμε την αλληλεγγÃÂη προς τους φτωχοÃÂς, τους ασθενεÃŽÂ¯ς και τους πονεμÃŽÂ­νους. Το πνευματικÃÅ’, ποιμαντορικÃÅ’ και κοινωνικÃÅ’ ÃŽÂ­ργο της ΟρθοδοξÃŽÂ¯ας μας καλεÃŽÂ¯ σÃŽÂ®μερα να ενÃÅ½σουμε την κανονικÃŽÂ® εδαφικÃŽÂ® δικαιοδοσÃŽÂ¯α με την ποιμαντικÃŽÂ® υπευθυνÃÅ’τητα για τα συγκεκριμÃŽÂ­να ÃŽÂ¬τομα και το τοπικÃÅ’ ΑυτοκÃŽÂ­φαλο με την καθολικÃŽÂ® ÃŽÂ® οικουμενικÃŽÂ® ΟρθοδοξÃŽÂ¯α. ΕπÃŽÂ¯ δε τοÃÂτοις, ευχαριστοÃÂμε τη ΑυτοÃÂ ΘειοτÃ¡Â½Â±τη ΠαναγιÃ¡Â½Â¹της, τον ΟικουμενικÃÅ’ ΠατριÃ¡Â½Â±ρχη, κ. κ. ΒαρθολομαÃŽÂ¯ο, για την πρÃÅ’σκληση για να συμμετÃŽÂ­χουμε σ’αυτÃŽÂ® τη ΣÃÂναξη, με την ελπÃŽÂ¯δα ÃÅ’τι ο αδελφικÃÅ’ς διÃŽÂ¬λογος και η συνεργασÃŽÂ¯α μας βοηθÃŽÂ¬ει να αγαπÃŽÂ¬με και να διακονοÃÂμε περισσÃÅ’τερο την ΟρθοδοξÃŽÂ¯α και το ÃŽÂ­ργο της στην σημερινÃŽÂ® κοινωνÃŽÂ¯α. ΕκτιμÃŽÂ¬με τις πνευματικÃŽÂ­ς και υλικÃŽÂ­ς προσπÃŽÂ¬θειες του ΟικουμενικοÃÂ ΠατριαρχεÃŽÂ¯ου για την προετοιμασÃŽÂ¯α της ΑγÃŽÂ¯ας και ΜεγÃŽÂ¬λου ΠανορθοδÃÅ’ξου ΣυνÃÅ’δου, μÃŽÂ­σω των ΠανορθοδÃÅ’ξων ΣυνÃŽÂ¬ξεων και ΠανορθοδÃÅ’ξων ΕπιτροπÃÅ½ν και ΣυνεδρÃŽÂ¯ων, προς το καλÃÅ’ πÃŽÂ¬σης ΟρθοδοξÃŽÂ¯ας.